This is how storage was like when I hit deploy. So as per agreed with the server team, passing zfsroot as a filesystem should allow it to work exactly the same was as any normal filesystem would. So from th MAAS perspective, I believe this is a correct configuration that's been sent. Since curtin does the storage, I'm opening a task against curtin. I think curtin can help here, but zfsroot requires GPT partitions, this is msdos. Can you get the curtin install log? root@46-f4:~# Connection to 10.0.5.191 closed by remote host. Before I could check what's going on, the system was shutdown. I need to do something in maas to prevent that. If you could share a tip to prevent the shutdown, that would help as I would have more time and would be able to apt install what's missing. drwxr-xr-x 4 root root 80 Apr 3 17:25 .
drwxr-xr-x 17 root root 3600 Apr 3 17:25 ..
drwxr-xr-x 2 root root 60 Apr 3 17:25 .
drwxr-xr-x 4 root root 80 Apr 3 17:25 ..
drwxr-xr-x 2 root root 160 Apr 3 17:25 . You don't have those here because your disks don't have serial numbers. > drwxr-xr-x 4 root root 80 Apr 3 17:25 . > drwxr-xr-x 17 root root 3600 Apr 3 17:25 ..
> drwxr-xr-x 2 root root 60 Apr 3 17:25 . > drwxr-xr-x 4 root root 80 Apr 3 17:25 ..
> drwxr-xr-x 2 root root 160 Apr 3 17:25 . > You don't have those here because your disks don't have serial numbers. >> drwxr-xr-x 4 root root 80 Apr 3 17:25 . >> drwxr-xr-x 17 root root 3600 Apr 3 17:25 ..
>> drwxr-xr-x 2 root root 60 Apr 3 17:25 . >> drwxr-xr-x 4 root root 80 Apr 3 17:25 ..
>> drwxr-xr-x 2 root root 160 Apr 3 17:25 . After adding serial numbers, I can confirm that the deployment works. I'll leave it up to you guys to decide if this should be a supported scenario or not. 2.4.0beta2, i got same error, when i deploy centos7 in uefi model. i dont know why, it seems everything is ok, no error, just can not boot. 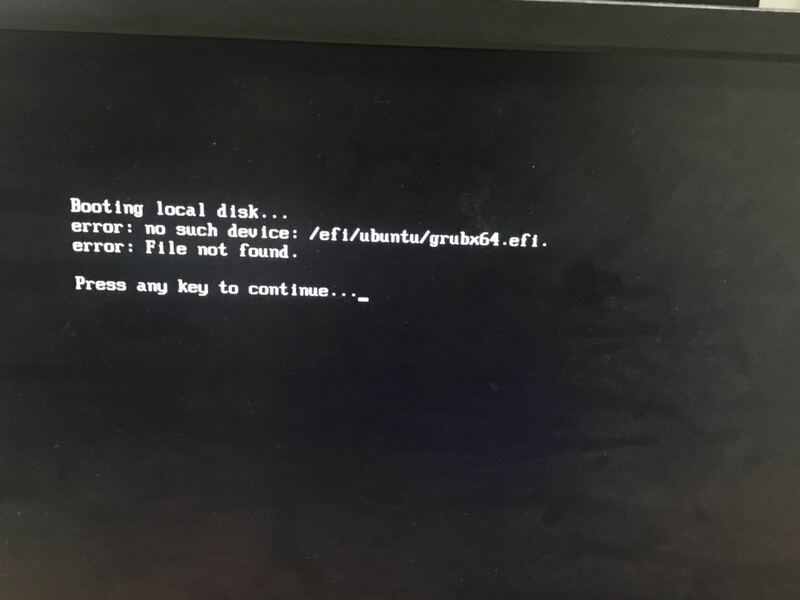 so i change rhel in uefi, error is gone, boot fine. so， anyone who give me some advice, i will appreciate it. and i just check the dev device, dont has the uuid device. HP, Lenovo, all got this error.